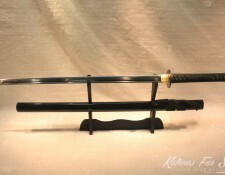 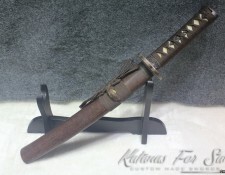 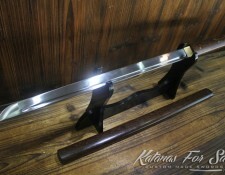 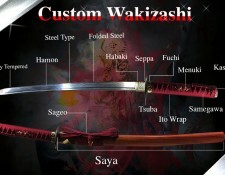 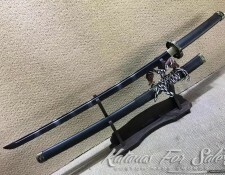 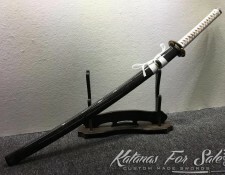 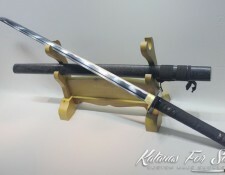 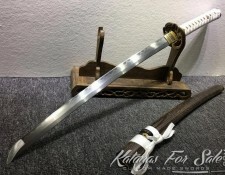 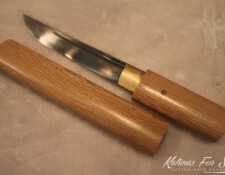 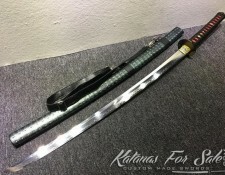 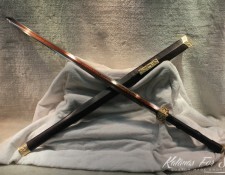 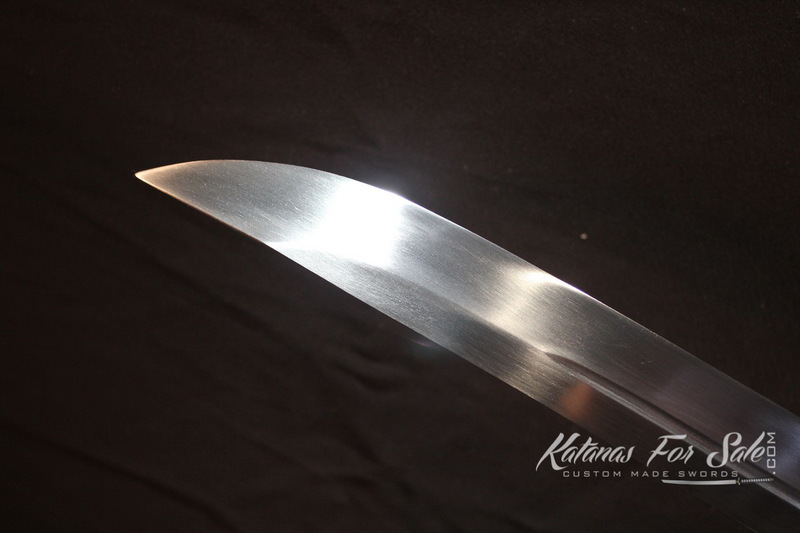 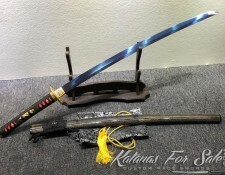 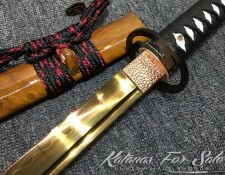 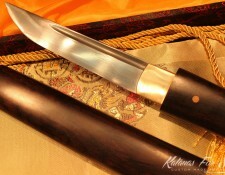 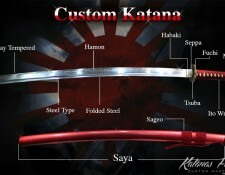 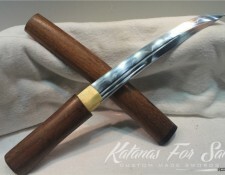 Categories: 1060 High Carbon Steel, Nagamaki For Sale. 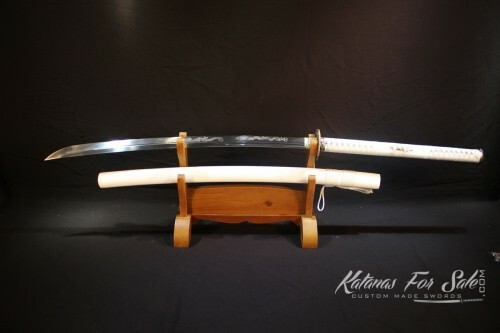 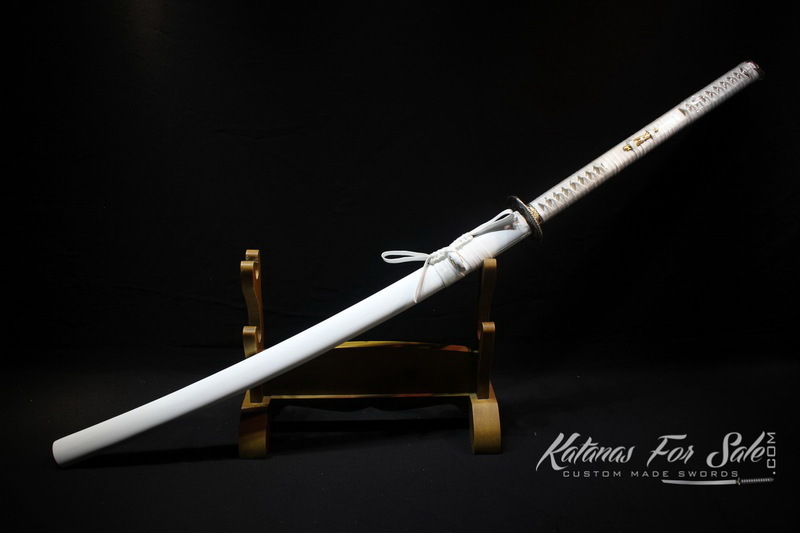 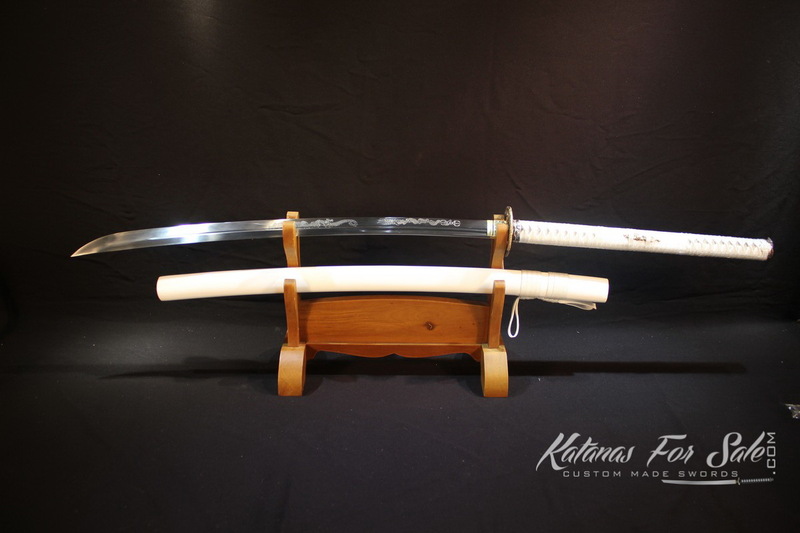 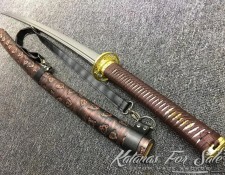 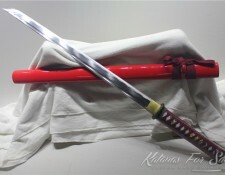 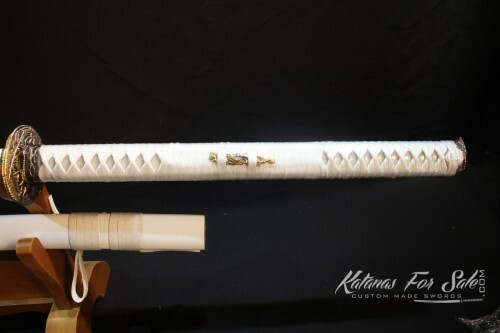 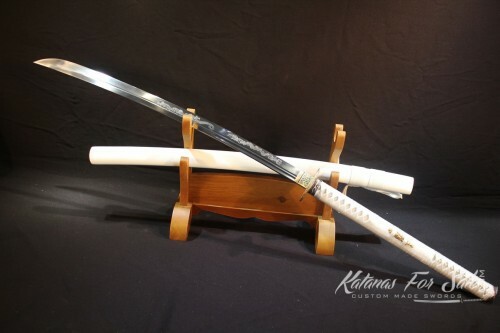 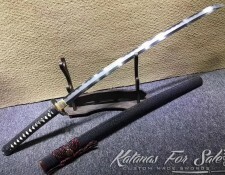 The Nagamaki is a hybrid between a Katana and a Naginata, it features a longer handle than a Katana, and a longer blade than Naginata. 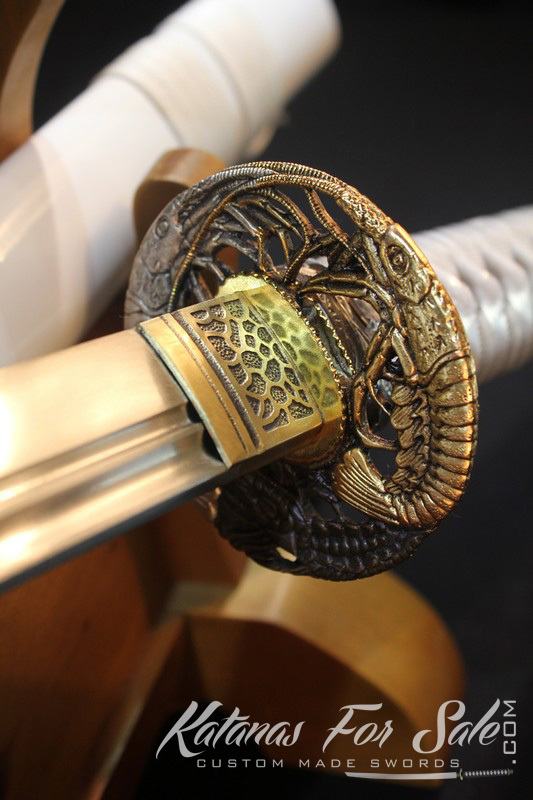 The blade also features a Bo-Hi (groove) for better balance and a audible feedback when the sword is swung. 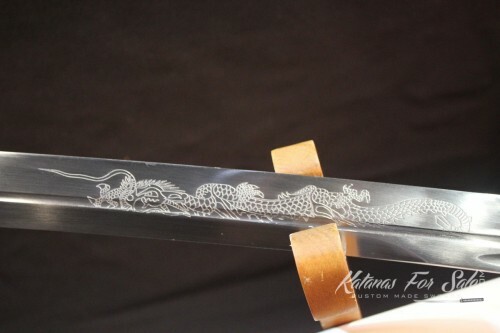 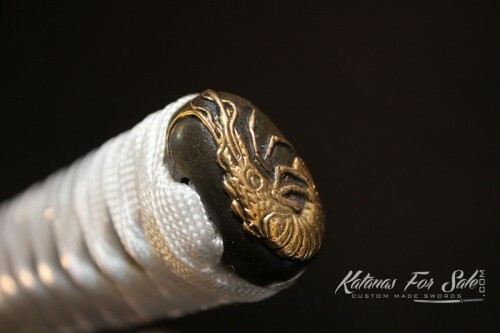 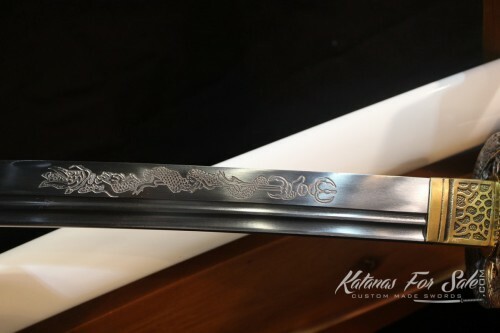 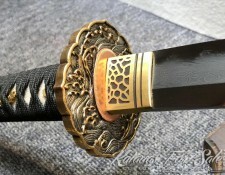 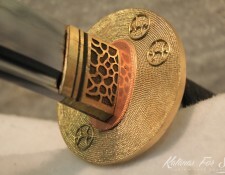 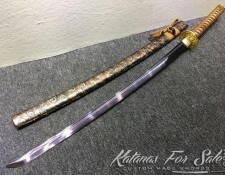 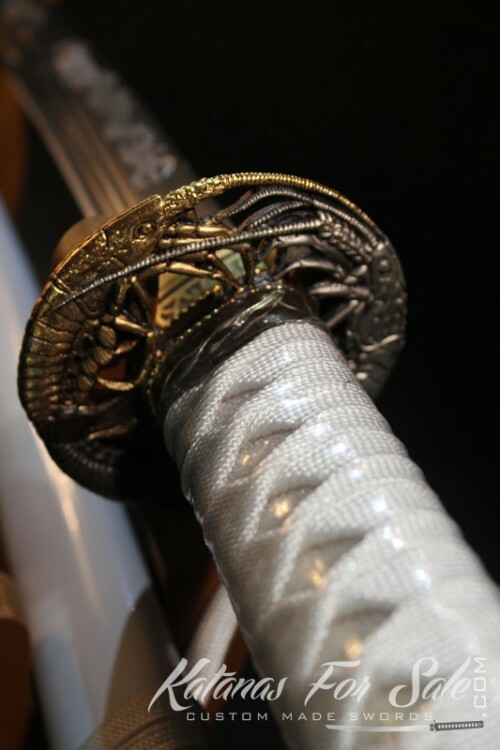 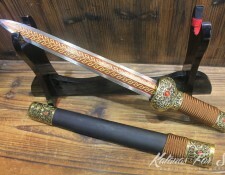 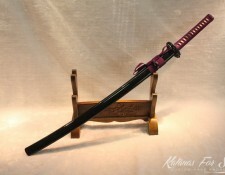 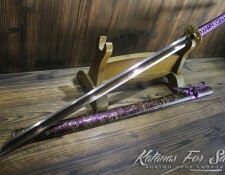 Two Japanese dragons were engraved on the blade.